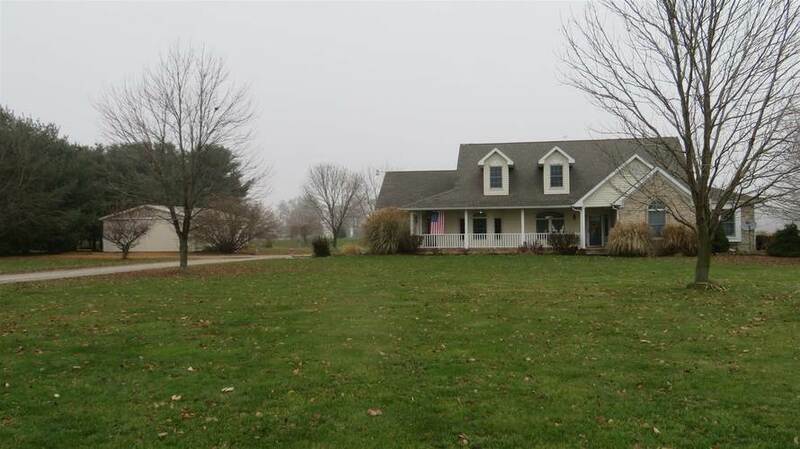 Fantastic move in condition home located in the country on 2.634 acres of ground. Three or four bedrooms and three full baths. This home has open concept, a beautiful kitchen and dining area, large master suite with walk in closet and large master bath. Three bedrooms on main level. Upper level is 900 sq. ft and could be used for large game room, bedroom, or family room and also has a full bath. Comes with geothernal heating and cooling and with vaulted ceilings. Attached two + garage plus a 40 x 30 pole barn. Directions:FROM GALVESTON ON ST RD 35. NORTH TOWARDS WALTON TO 800 SOUTH THEN EAST TO HOME. Listing provided courtesy of Tom Hayes Realty.